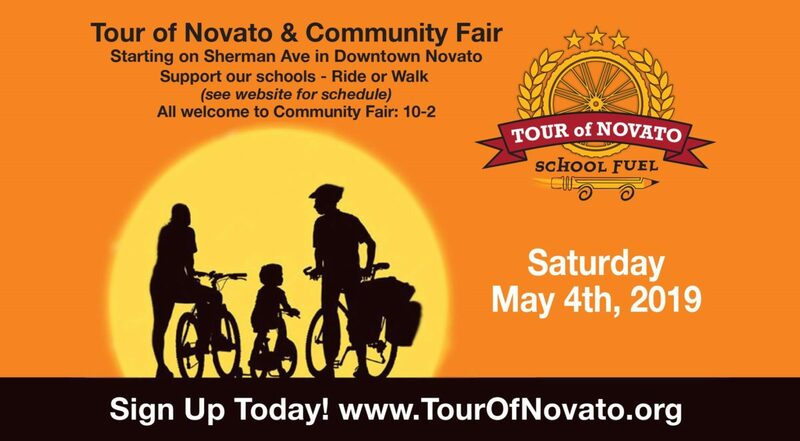 Make sure you plan to participate in the next Tour of Novato and Community Fair, coming May 4, 2019. This is the one event that benefits and showcases every school in the Novato school district. If you want to raise money for your school, you can register as a walker or biker at www.tourofnovato.org beginning in January there will be routes for all ages and abilities. The Community Fair is a student and activity showcase that runs along the city green, Sherman and Machin avenues featuring many free games and booths.